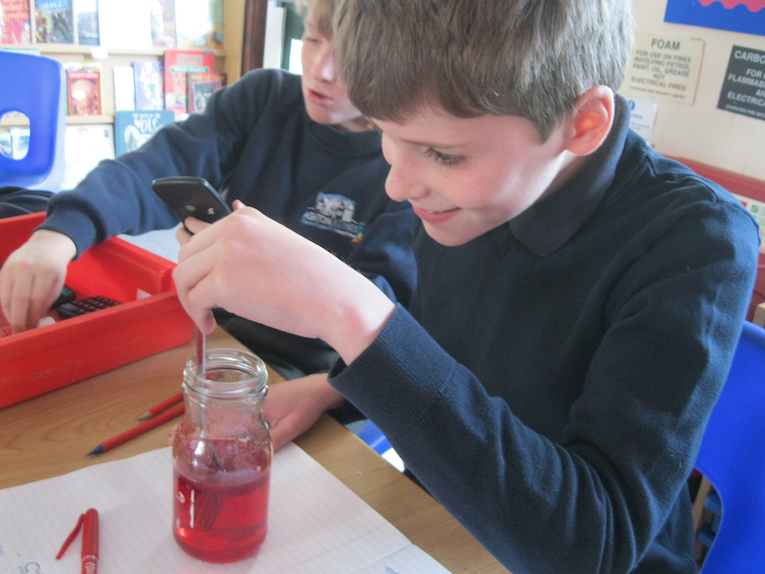 In science week (week of 11th March), Class 5 looked at the density of different liquids. Density is how much matter or stuff something contains. The denser liquids sink to the bottom with the lighter liquids floating on top. 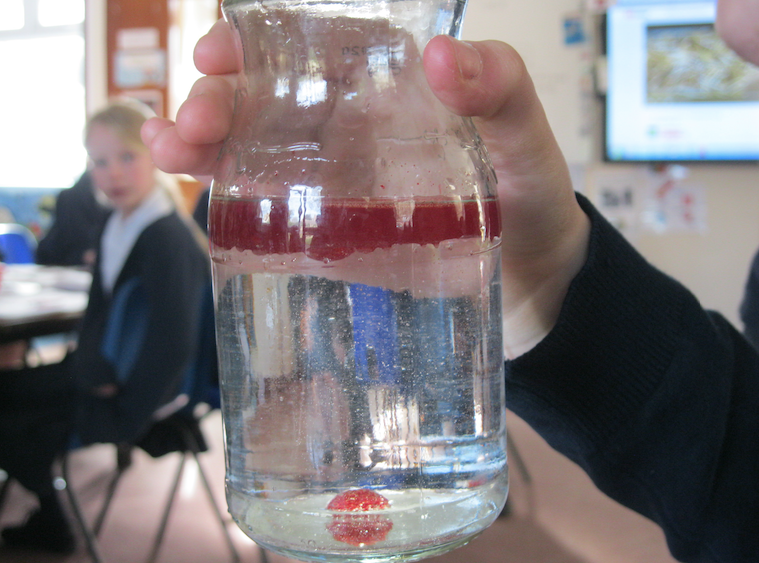 We did an experiment called ‘raining blood’ We mixed oil in water in a jar. 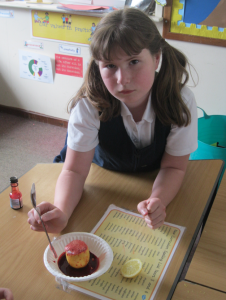 We then added in food colouring. 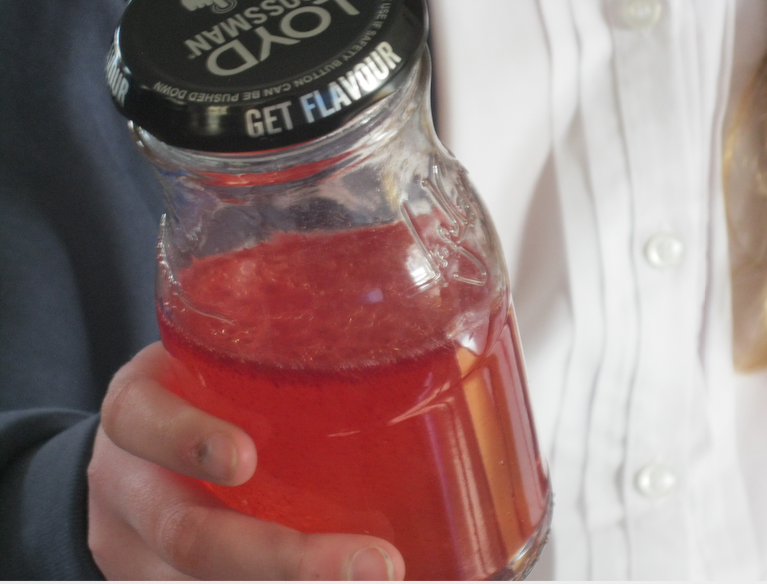 The food colouring fell to the bottom of the jar and then started to float back up again. 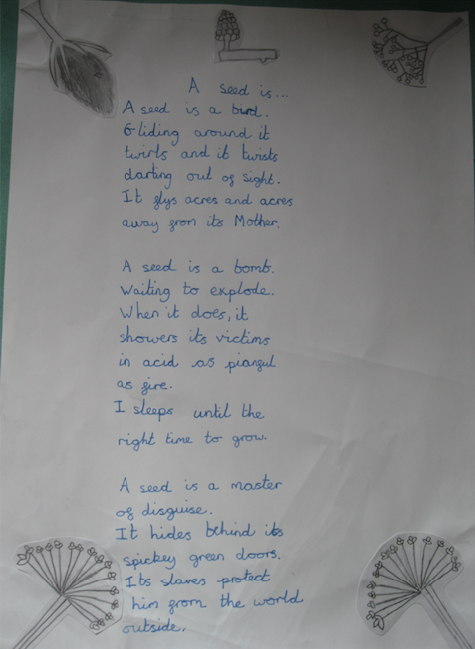 As part of our Sikhism topic, we have been learning about the langer. Gurdwaras have a room known as a langer where food is served to people after services. The food is free and anyone is welcome to come and eat. 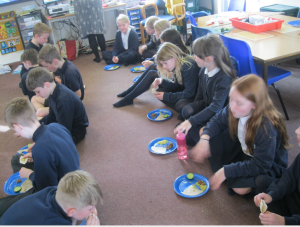 We had a go at replicating a langer meal in the classroom. Afterwards we discussed how this meal showed Sikh beliefs in action. 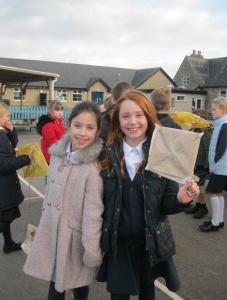 In Year 5 we have been looking at what engineering is. 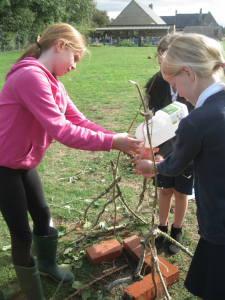 We’ve been very lucky to have two Dyson Foundation boxes this term to use. 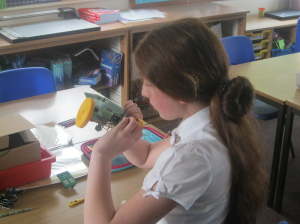 We explored the engineering and designing process by looking at how James Dyson redesigned his wheelbarrow. 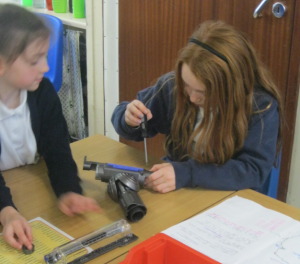 Engineers identify a problem and then work to find a solution. 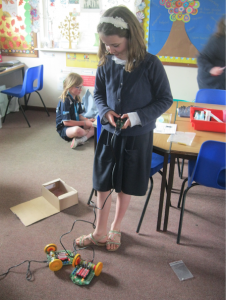 In the boxes were parts of a vacuum cleaner that we could take part and then reassemble. 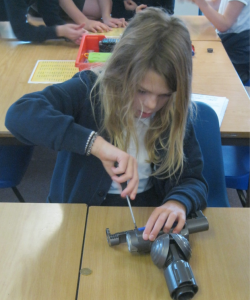 We learned to use different tools to take the carbon fibre brush heads apart. 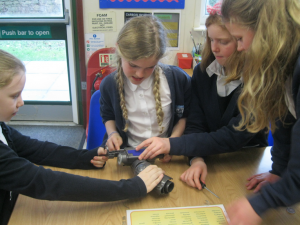 It let us look at how the machines functioned on the inside. Afterwards, we put them back together and we didn’t have a single screw out of place! 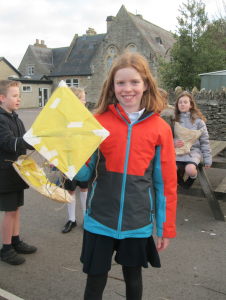 Let’s go fly at kite! 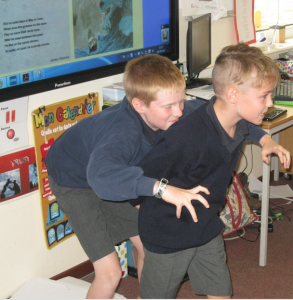 In Year 5 we have been reading a book called ‘Journey to the River Sea’ which is set in the Amazon rainforest. 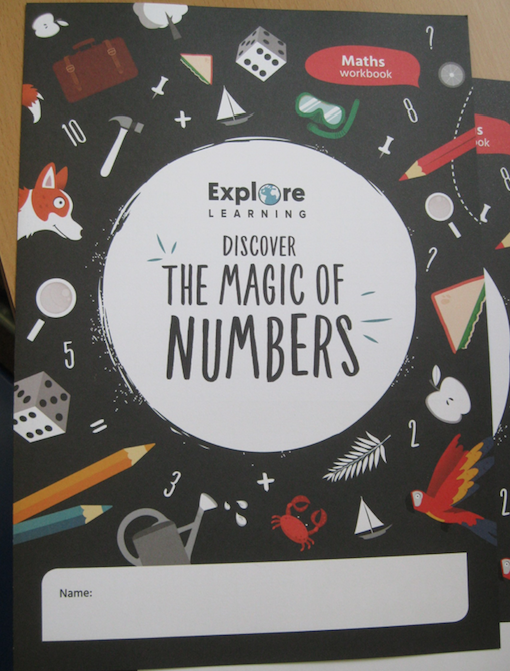 It has inspired all our learning. 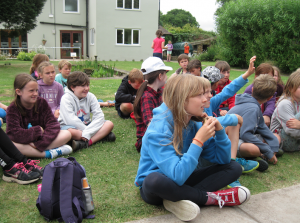 We have learnt all about Brazil and its environment. 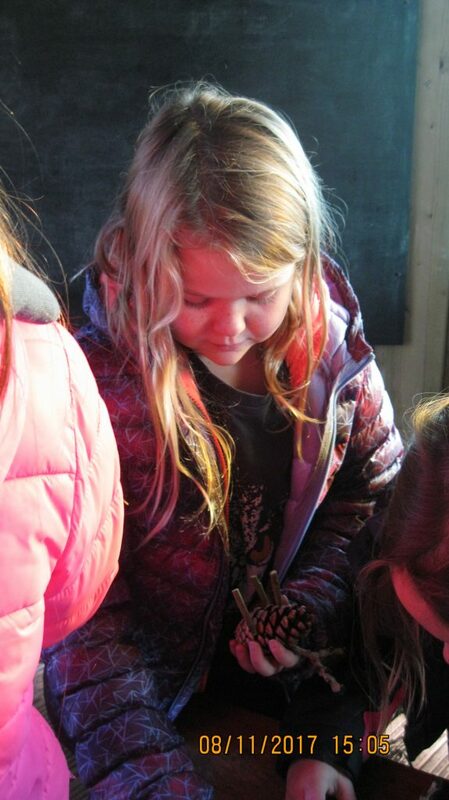 We were absolutely fascinated to learn about pink river dolphins and the carnivals. We have painted pictures in the style of Henri Rousseau’s jungle scenes. 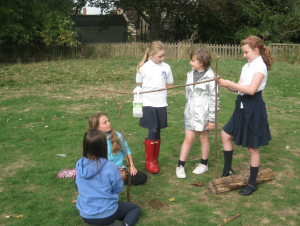 This has led us onto looking at issues in the Amazon. 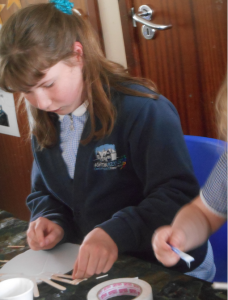 We have been shocked at the impact deforestation is having on the Amazon and the animals that live there. 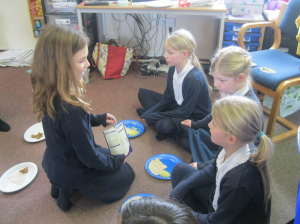 We have looked at the impact of palm oil in particular. 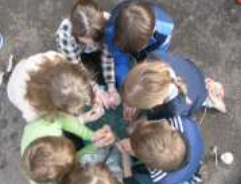 We started the year looking at water and biblical metaphors linked to it. 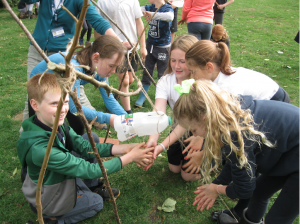 This inspired us to look at global issues towards dirty water. 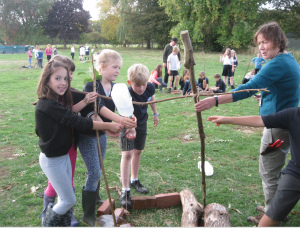 We created tippy taps in Forest School which are a hygienic way of washing your hands if you don’t have access to running water. 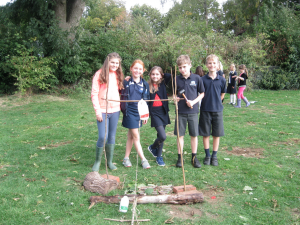 As well as raising money for Water Aid, as a class, we are going to raise money to twin toilets with communities in other parts of the world. 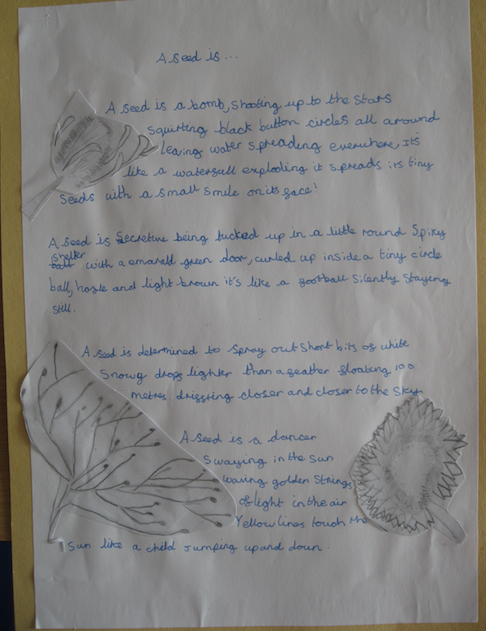 We really enjoyed looking at the artwork of Hannah Dunnett and used her as inspiration for art in our RE lessons. 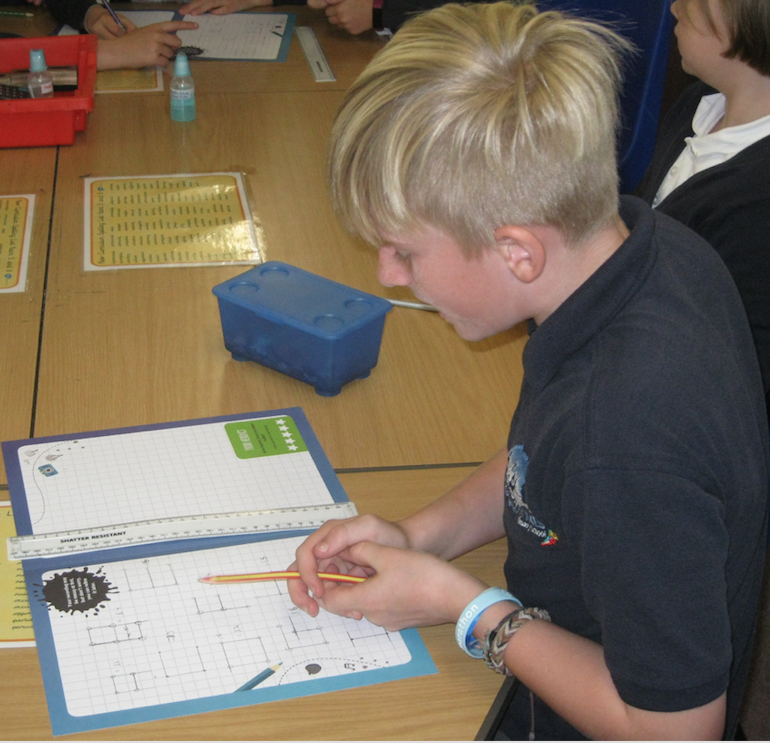 Today in Year 5 (11.10.18) we had a special Maths workshop where we had to complete a challenge to make the alphabet for the cheapest cost. Each ‘bar’ of a letter made on squared paper cost £1. We had to see what was the cheapest way of making the entire alphabet. 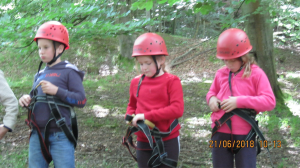 It was tricky but we LOVED it! What is a tippy tap? A tippy tap works by using the foot to tap a lever to tip water out from a container. It means hands can be washed without touching the stand – therefore stopping the spread of dirt and bacteria. 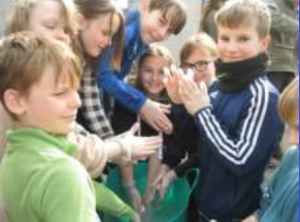 In many of the countries that WaterAid works in, people use a tippy-tap to wash their hands. 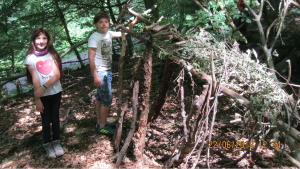 In forest school we had a go at making one. 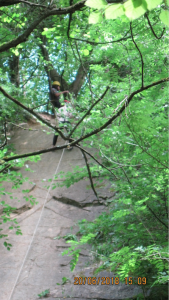 It was not as easy as it looked! Have a look at our tippy taps. 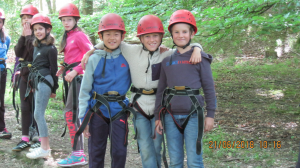 It was challenging but we REALLY enjoyed it! 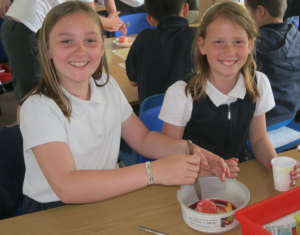 Year 5 has had an exciting start back to school. 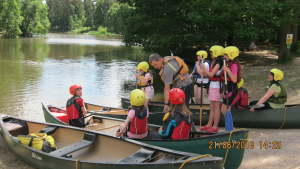 We are loving our Watery/River metaphor. 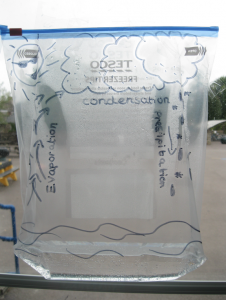 We have been learning about the water cycle in Science, the journey of a river in geography and the symbolism of water in the Bible. 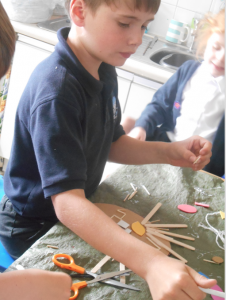 We looked at the story of Noah’s Ark and the idea that the rainbow is a symbol for a promise. 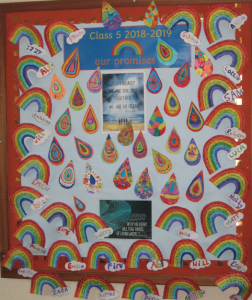 We made class promises on rainbows. 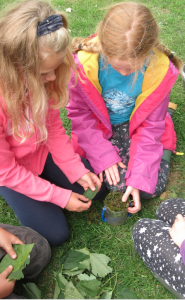 In Forest school we made water filters using natural items such as moss and leaves. 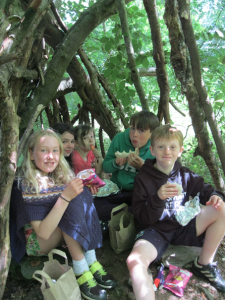 We LOVED Viney Hill! We were SO excited to go! 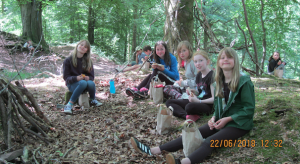 Once we got there, we found our tents and set up our bedding for the evening. 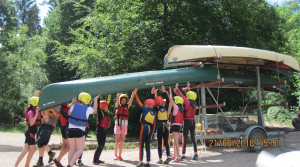 We abseiled, canoed and caved. 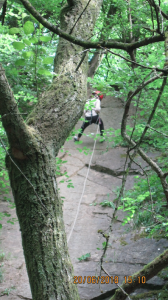 The abseiling was challenging but exhilarating. 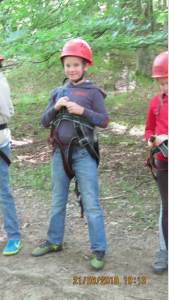 In fact some of us loved it that much, we raced back up to the top to do it again straight away. 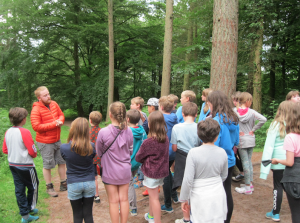 The first evening we went on a nature trail through the forest. 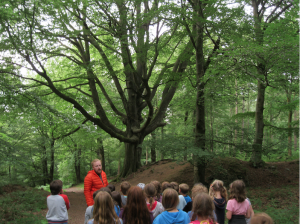 We hoped that we might see a boar but I think we were a little bit too noisy! We did see a boar mud bath though with fresh tracks. 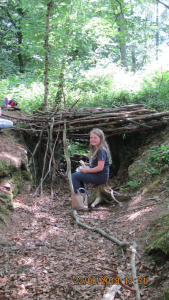 On Friday we spent the morning building dens. Have a look at them. 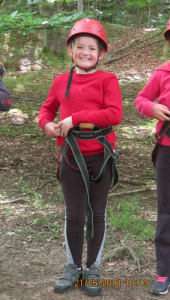 The caving was fab. We found rocks that were millions of years old. 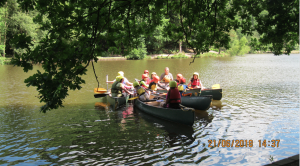 When we canoed, we looked out for lots of different types of wildlife. We could pick up some speed in races. 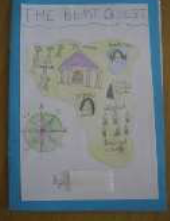 In Class 5 we have been looking at Peru. 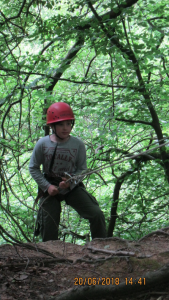 Peru has lots of different environments from mountains to rainforests. 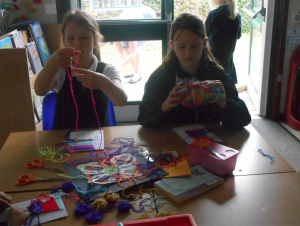 We have learnt about the different peoples of Peru and the art they produce. We have made Spanish inspired retablo pictures which are decorated with flowers using oil pastels. 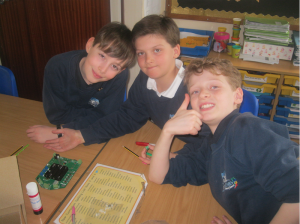 Inca achievements have been discussed from their road and bridge system to early brain surgery. 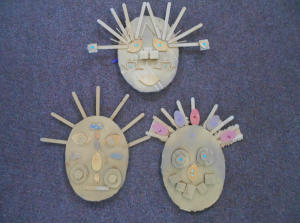 We were especially impressed with the gold work and masks produced by them. Have a look at our ones. We used lolly pop sticks to represent the elaborate headdresses you see on them. 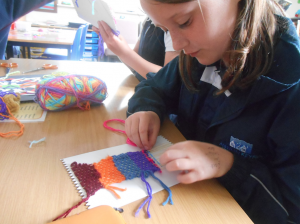 Bright colours are used a lot in art work from Peru. Retablos shine with bright blues and greens. 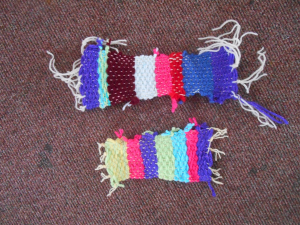 Peruvian weaving is packed with pinks and purples. 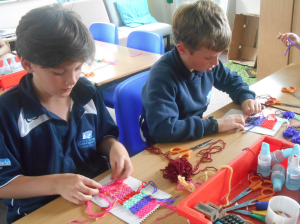 We used card hand looms to give weaving a go- it’s not easy. You have to really concentrate on the over and under pattern especially when you reach the last of the threads on the board and have to go back in the direction you have come. Practise makes perfect though! 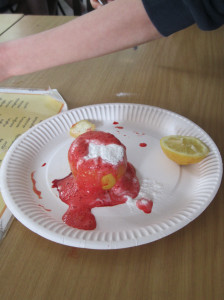 How do lemon volcanoes link to science? Well, lemon juice is a weak acid. 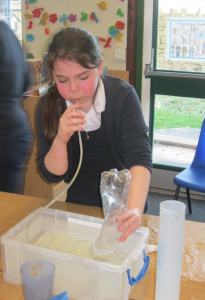 When it is mixed with bicarbonate of soda, it creates a chemical reaction. Chemical reactions are caused by two or more substances mixing together and creating a new substance. 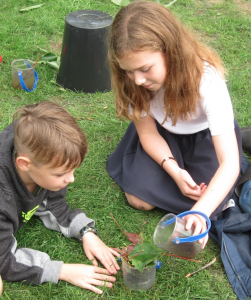 The new substance that was created was carbon dioxide. We could see it, as the lemon juice and soda frothed up. The bubbles in the froth contained the gas! 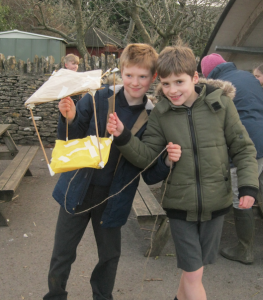 We really enjoyed making these! 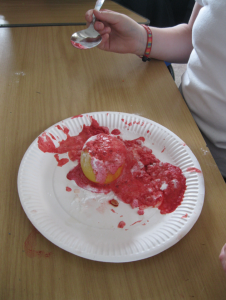 Do you know the difference between dissolving and melting? 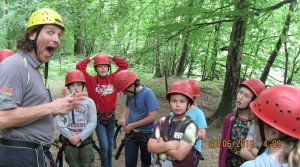 Well Year 5 do! 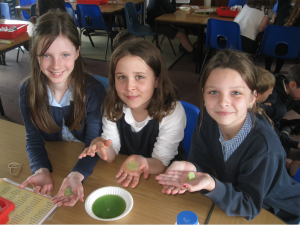 We dissolved sugar cubes in coloured water and observed how they changed shape as they absorbed the water. 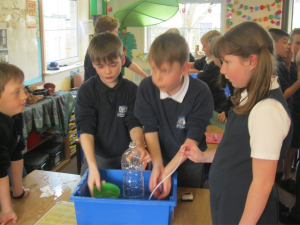 We looked at and sorted materials into insoluble and soluble materials. 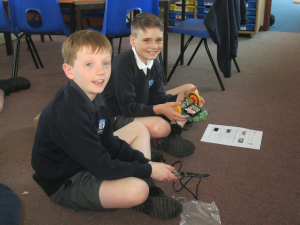 In Year 5 we have been building robots using the Robokids kits. 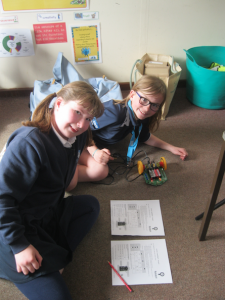 We had to build them and then check that they were wired correctly. Now we can drive them! 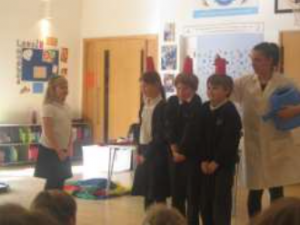 Year 5 loved Science Week! 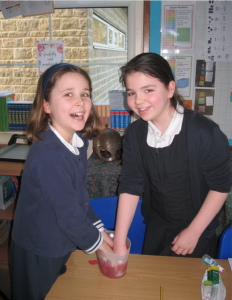 We used latex and vinegar to make rubber balls. Liquid latex is made of tiny particles of rubber that are suspended in water. Ammonia is added to liquid latex as a preservative to keep it from going solid. When vinegar, which is an acid, is added, the vinegar reacts with the ammonia and neutralizes it. Then the rubber coagulates into a solid shape. A REALLY bouncy ball! 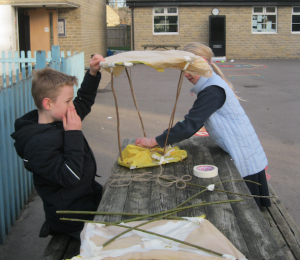 Once we made the balls, we held a bounce off! 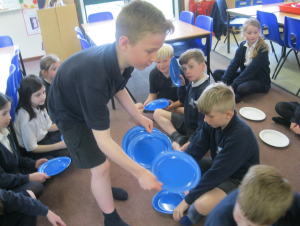 We looked at chemical reactions in science and discussed how making casein out of warm milk and vinegar was an irreversible change while making ‘oobleck’ out of water and corn flour was a reversible change – a physical reaction. 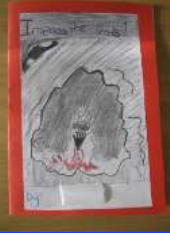 We’ve lovedlearning about myths and legends in English especially the story of Beowulf. 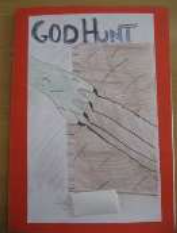 We have now created our own myths and have written them in best as our own books! 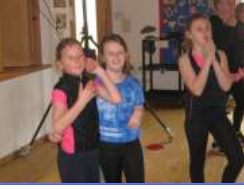 Year 5 loved the Danceathon! We kept dancing for a full half an hour and we still had energy to spare. 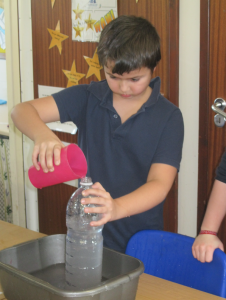 In Science this term we are looking at materials and their properties. 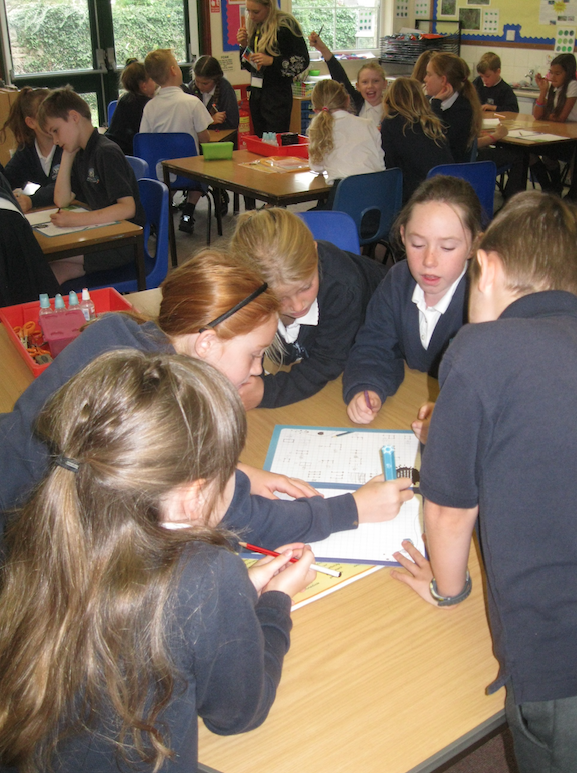 In this lesson we looked at what made a mixture a mixture. We decided that mixtures were when two or more things were mixed together without creating a chemical reaction and making a new substance. The different parts of the mixture can be separated (although this may be difficult.) 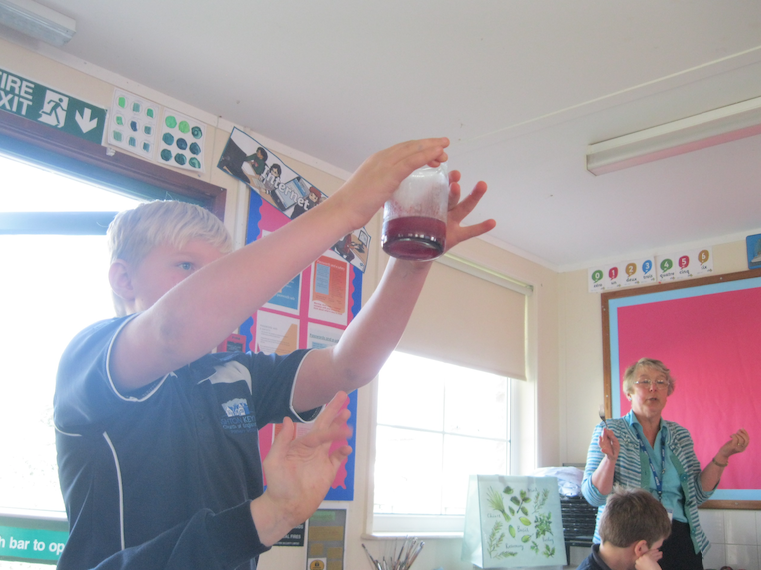 We learnt that blood is a mixture made up of : plasma, white blood cells, red blood cells and platelets. All the different parts of blood can be separated and can be used in different ways to help sick people. 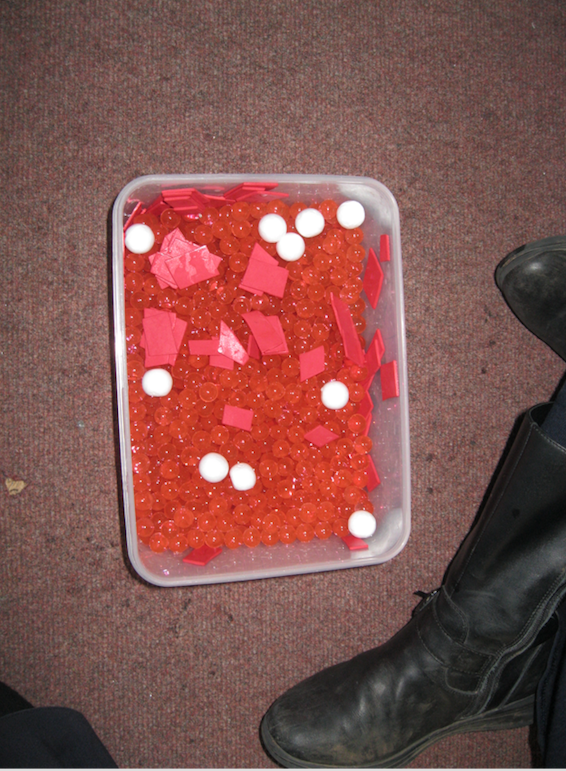 Have a look at our model of human blood. What was representing each of the parts? 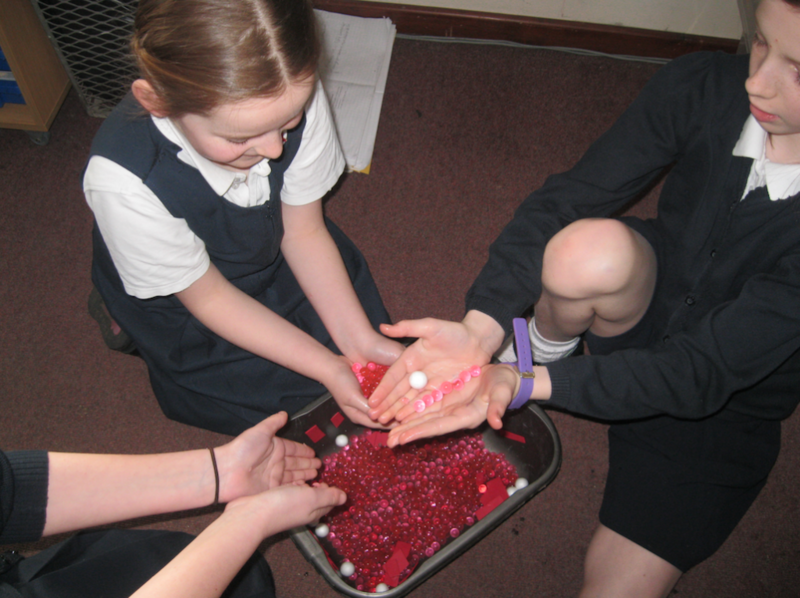 We really enjoyed handling the ‘blood’ although some of it felt a little squashy! 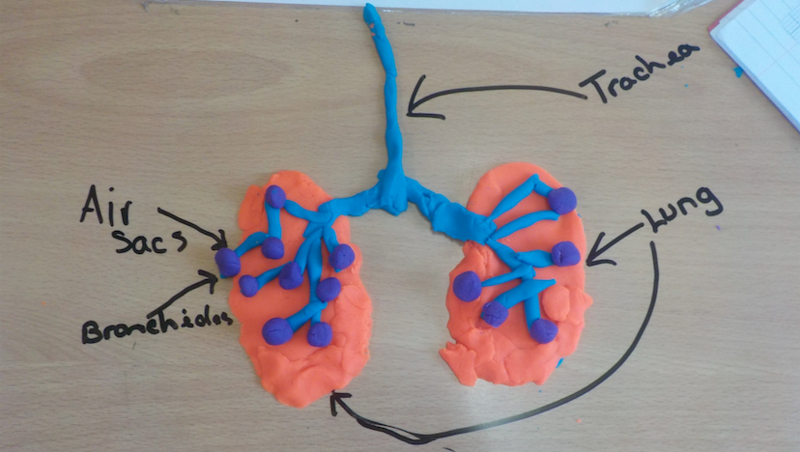 We’ve been looking at the human body and the circulatory and respiration systems especially. 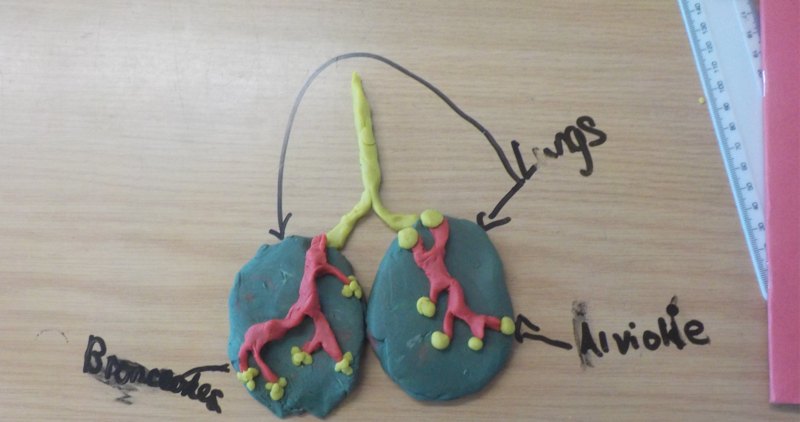 Have a look at our playdough models of the lungs. Do you know what each of these parts does? 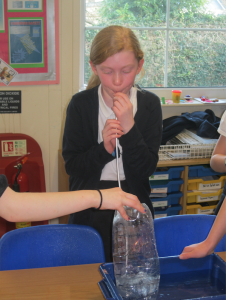 We decided to measure our lung capacity. 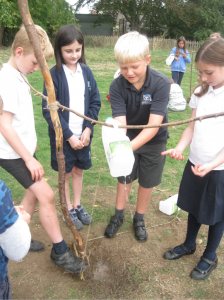 Have a look at the experiment we carried out to measure it. 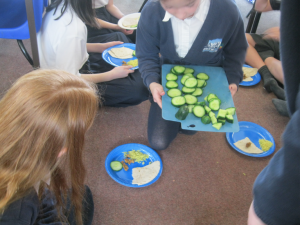 Can you work out what we did? 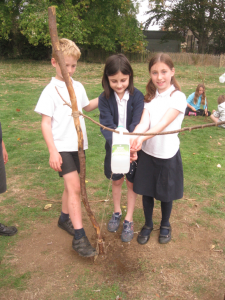 On Wednesday we had Forest School. 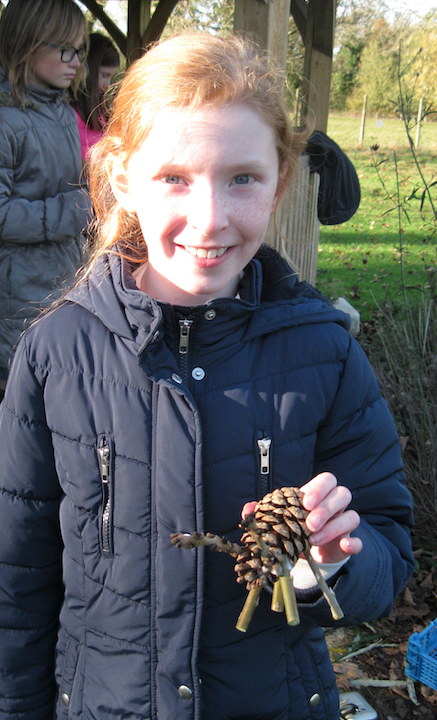 We started to make Christmas decorations. Can you spot what they are? I’ll give you a clue. They have antlers and pull sleighs. 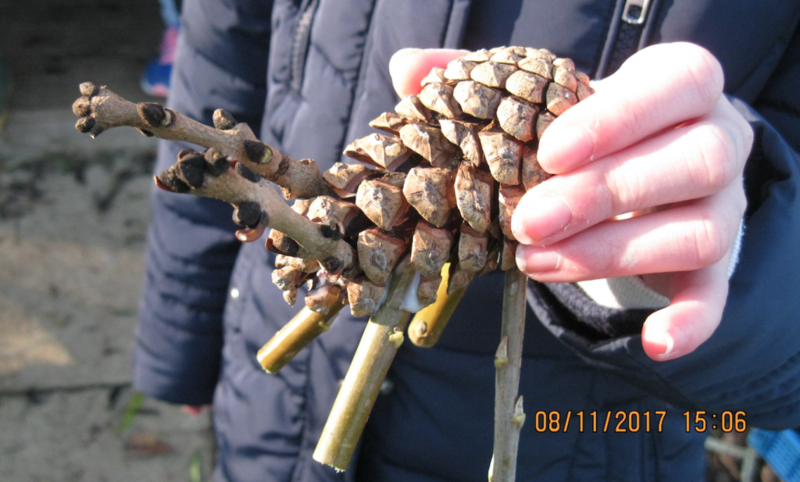 We used pine cones and branches to make them. After that, we began to make Christmas wreathes. 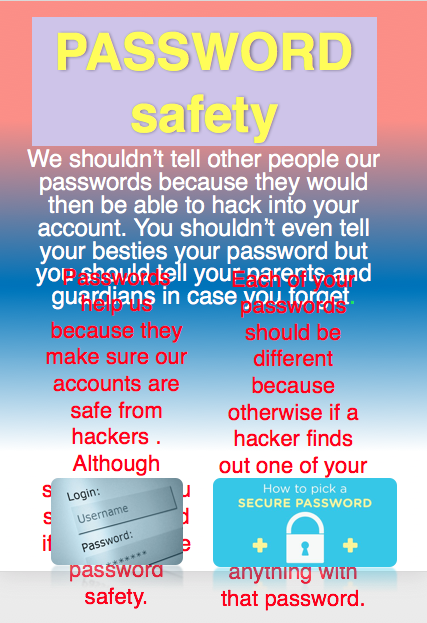 We have been looking at Esafety for the last two weeks. 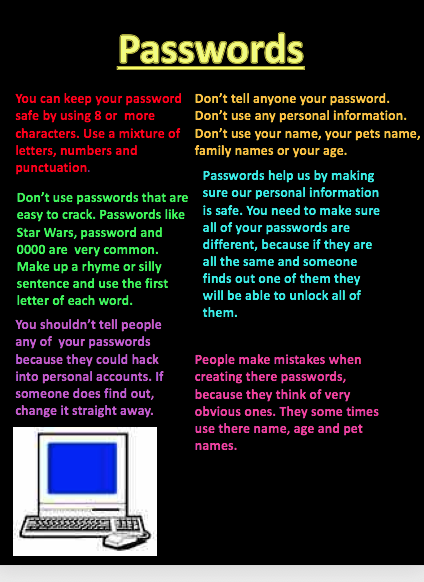 We have been creating rules to keep us safe online and looking at what makes a good or a bad password. 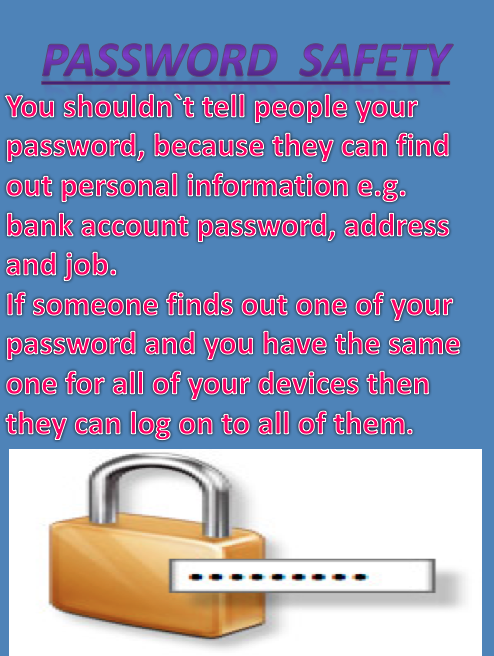 Have a look at some of our posters on passwords. Which things are you doing? Which aren’t you doing? 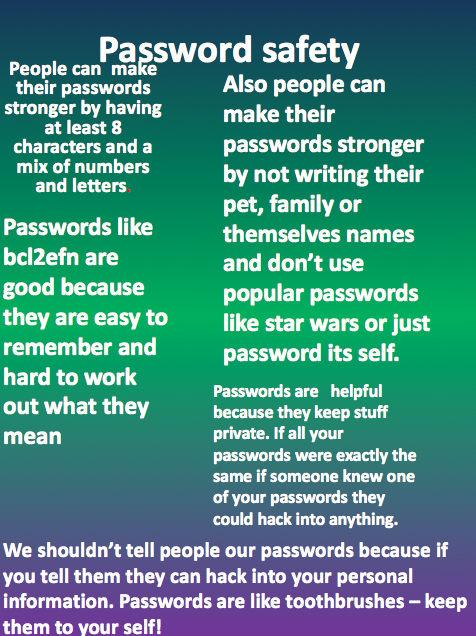 Is your password password? 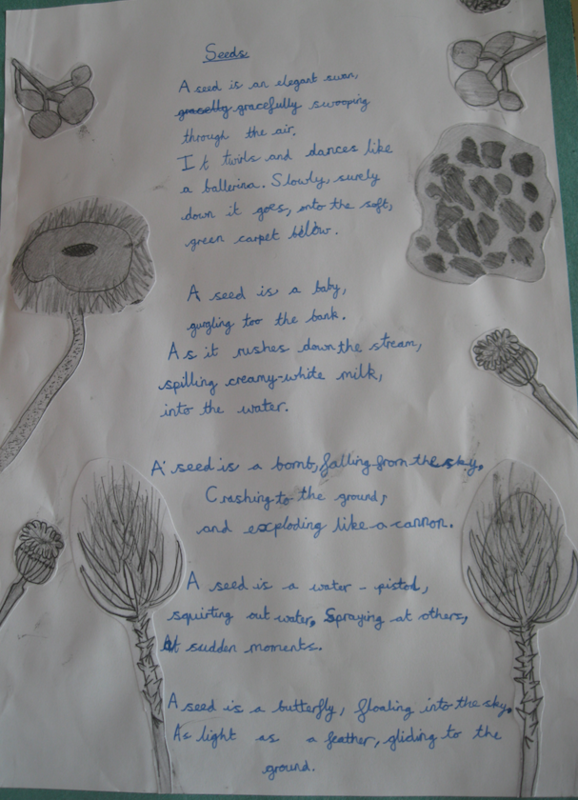 We have been reading the book a Seed is sleepy which has provoked a lot of thought! 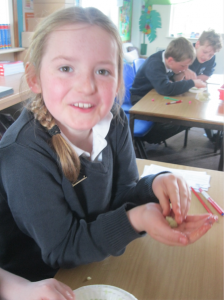 We have linked it to the parable of the mustard seed and the parable of the sower. 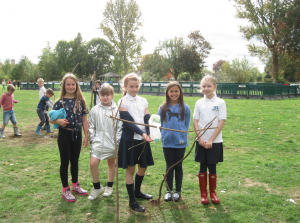 We have discussed how we would like to grow as a class. 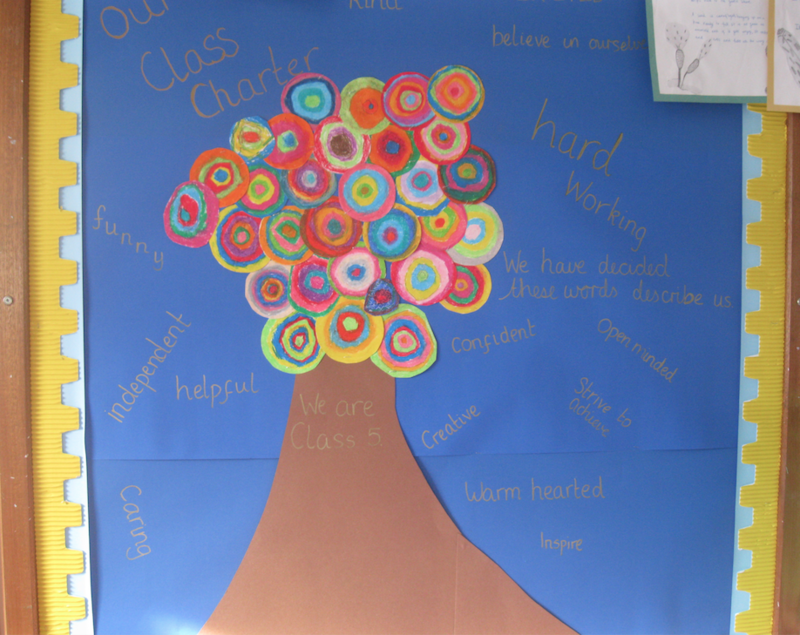 Can you see our class charter? 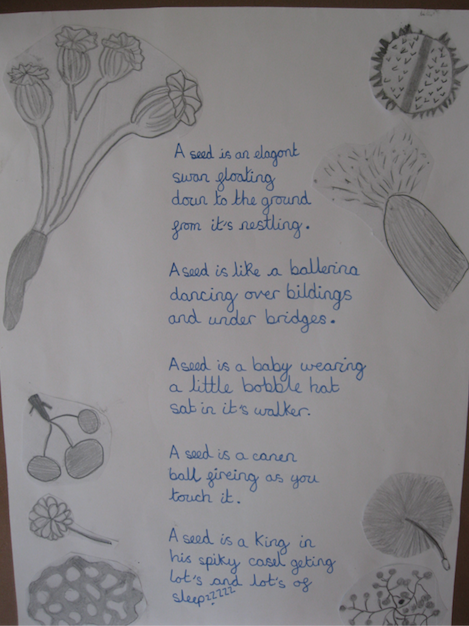 In English we have written poems about seeds that use personification, similes and metaphors. We have done observational art drawings using different shading techniques. 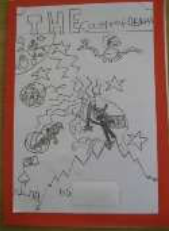 We used these drawing to decorate our poems. Have a read of them!